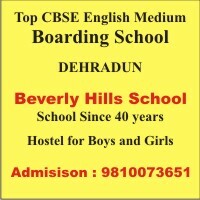 A reputed English Medium Co educational Residential School, affiliated to C.B.S.E. A spacious campus with top class infrastructure and the best facilities. Well qualified and experienced faculty. Excellent board results. Outstanding performance in games & sports. The classrooms are specious, well-ventilated and well lighted. Each classroom accommodates on an average thirty-five students. Every classroom is provided with a large Green Board and a Notice Board for day to day news and events to be displayed. Each student is provided with a locking facility, so that he can keep his books locked safely in the class thus, avoiding the burden of carrying them daily. Offices of the Heads of the Junior & Senior departments are located on each floor to facilitate the smooth functioning, beside assisting in the discipline of classroom activities.